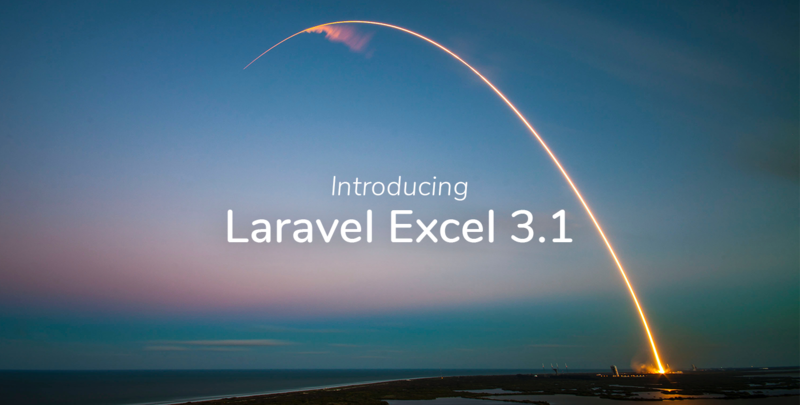 We are now ready to introduce Laravel Excel 3.1! The easiest way to create an import class is to use the make:import artisan command. In your UsersController you can now add an import method that will call our UsersImport. Make sure to also add a route registration for this method. Passing the UsersImport object to the Excel::import() method will tell the package how to import the file that is passed as the second parameter. The file is expected to be located in your default filesystem disk (see config/filesystems.php). You can specify another disk with the third parameter like your Amazon S3 disk. If you let your user upload the document, you can also just pass the uploaded file directly. The import class can be supercharged by adding the Importable trait. We can now call the import method directly on the import class; no need for a facade. The thing we really wanted to get right from the start is to provide the tools to make imports more performant. Usually one of the bottlenecks with imports is the database. By default, the package performs database inserts per row. However, on larger files, this can slow down your import a lot. By implementing the WithBatchInserts concern you can limit the amount of queries done to import the entire file. The batch size will determine how many models we’ll insert at once. This will drastically reduce the import duration. The package will now insert 1000 models in one query. You’ll have to play around with the batch size to find the sweet spot for your import. Importing a large file can have a huge impact on the memory usage, as the library will try to load the entire sheet into memory. To mitigate this increase in memory usage, you can use the WithChunkReading concern. This will read the spreadsheet in chunks and keep the memory usage under control. The file will now be read in chunks of 1000. In combination with batch inserts this should improve the speed and memory usage of your imports! By adding the ShouldQueue contract to your import class, each chunk will be queued as a separate job.